Support for everyday concerns or after receiving a diagnosis from your health care provider, you may want to choose a plant based option to compliment your care . This is a gentle, yet effective way to find comfort for temporary physical or emotional concerns. What to expect the first time meeting with a Clinical Aromatherapist? At the beginning of the session, your medical history and lifestyle details will be taken. This is to insure that a product will be developed to provide the most beneficial and safe blend for you. Secondly, product(s) will be blended for you. Specific instructions on how to use the blend(s) will also be given. Only pure, natural, unadulterated essential oils have therapeutic properties. Perfumes, shampoos, bath oils and other scented products may smell wonderful, but they are not intended to be therapeutic. Finally, follow up visits or phone calls will be scheduled to complete the process. 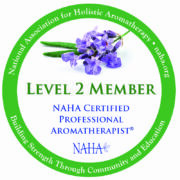 Aromatherapy Certification Program – 235-hour to become Certified Aromatherapists, professionally qualified in the therapeutic uses of essential oils. 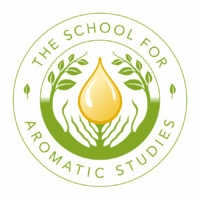 Scholar’s Program – 400-hour Scholar’s Program is designed to meet the highest level of Aromatherapy Certification approved by the Alliance of International Aromatherapists (AIA). The program provides an inspiring combination of courses leading to qualification to practice as an Advanced Practitioner in Aromatherapy. $85 / Initial Consultation, including reviewing your health history, researching essential oils for your concern, and a self-help protocol with application suggestions.